Ram Krishna Dhakal was born in Nijgadh of Bara District on Shrawan 7, 2031 BS. Right at the age of 14, he appeared at a solo musical programme entitled "Dhakal Sumadhur Saanjh" in the city hall of capital on Aasadh 25, 2045 BS. Thereafter, he made headway with the heavily sold annual music albums, like "Aashirbad" in 2050 BS. "Aashish" in 2053 BS. and "Aasha" in 2055 BS. In the mean time, his numerous modern and national songs as well as his film background songs made him extremely popular even beyond the borders of Nepal. In recognition of his talents His Majesty the King decorated him with the " Prabal Gorkha Dakshin Bahu" in 2055 BS. as the youngest singer in Nepalese music history. He has been the focal point for the youngesters who love music. As a result he owned numerous national awards. Again he gave his second solo performance "Dhakal Sumadhur Saanjh" in 2055 BS at the Royal Nepal Academy Hall in Kathmandu. 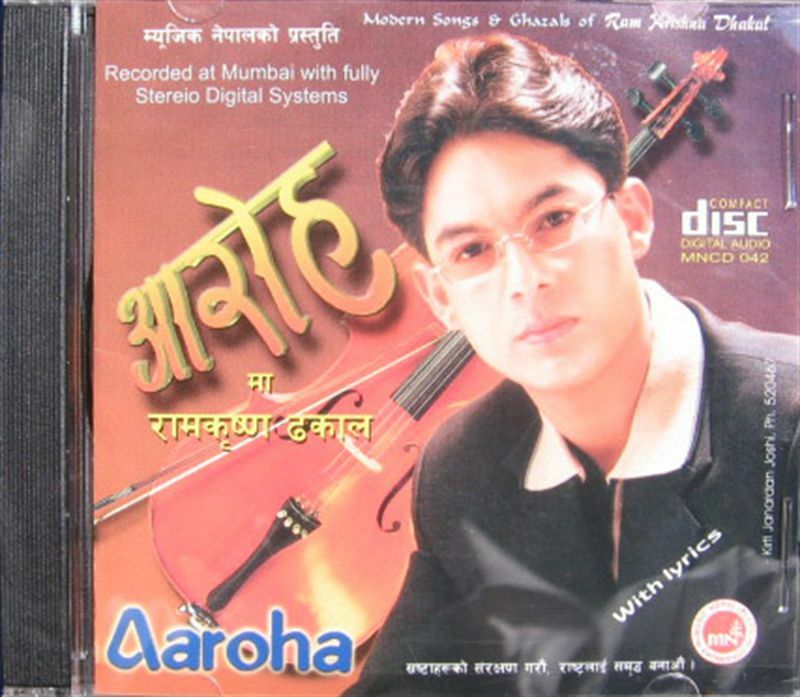 He has come out once again with his "Aaroha" album.